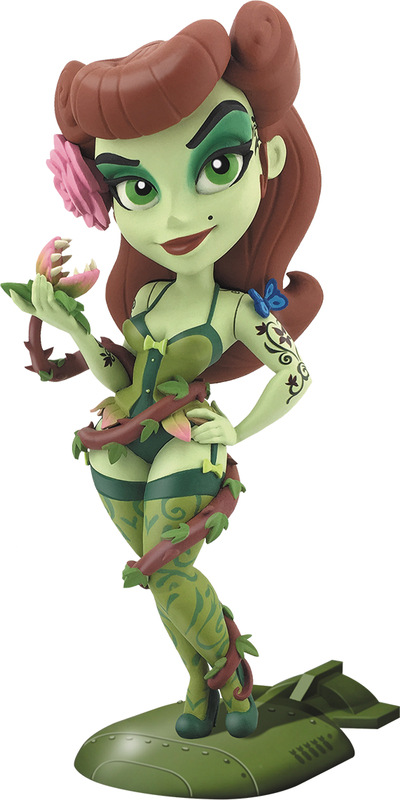 From Cryptozoic Entertainment. You can never have too many shoes! Pumps are glamorous miniature high-heeled shoes inspired by the costumes, props, and personalities of DC’s favorite female heroes and villains, including Wonder Woman, Harley Quinn, Supergirl, and Batgirl. For example, the Wonder Woman Pump features a transparent heel influenced directly by the character’s Invisible Plane and a strap designed after her iconic Lasso of Truth! Each Pump is approximately 2.25 inches tall, is finished with pearlescent metallic paint, and comes inside a high-fashion-style shoebox. 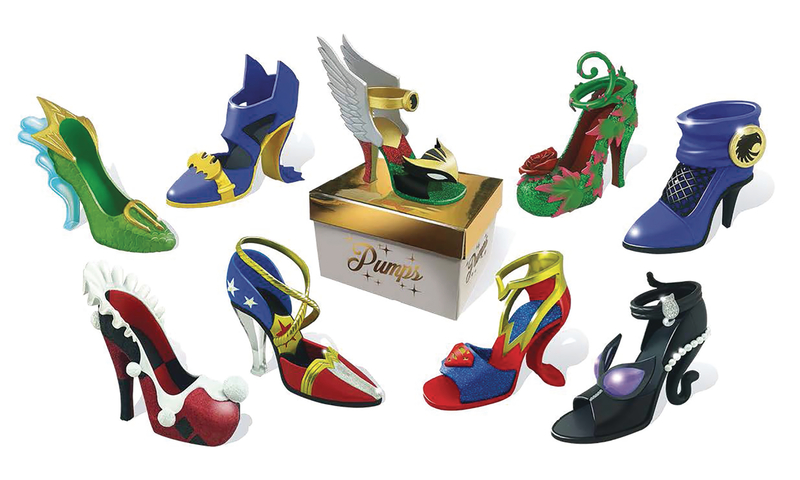 There are nine distinct shoes in the Pumps collection, plus three rare variants. Collect them all! Nice PVC figure of the Justice League Unlimited incarnation of Black Canary. 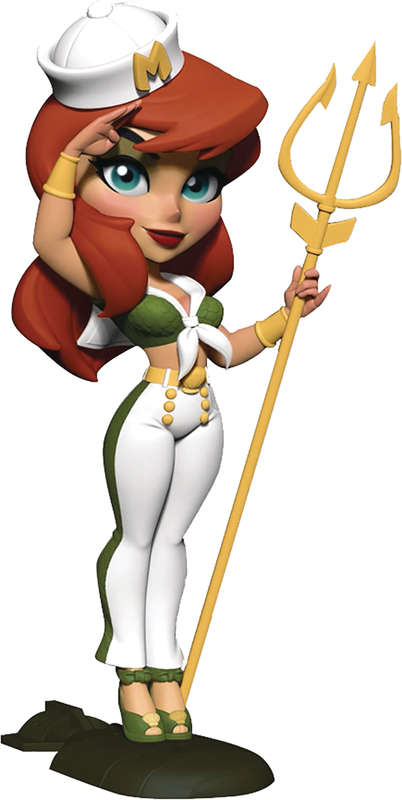 I can haz Zatanna? Apparently DC has a series of “Cover Girls” statues. 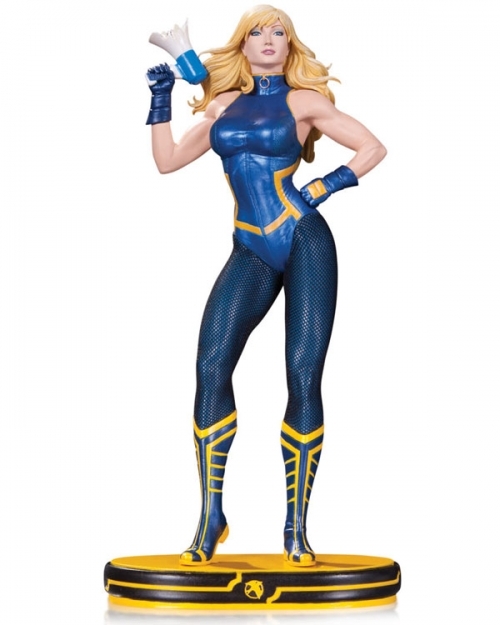 This Black Canary statue is ok, I guess, but I absolutely hate that costume. Not my thing, but this is certainly one of the better Kotobukiya bishoujo statues of DC characters.